In this pAsuram, mAmunigaL is following AzhwAr’s pAsurams of desiring to enjoy emperumAn’s different forms of various places and times, in those places and times and is mercifully explaining it. How is that done? As crops will grow well into hundreds of branches after removing three types of weeds, AzhwAr’s bhakthi grew well into hundreds of branches after his instructions towards samsAris in three decads viz thiruvAimozhi 1.2 “vIdu min muRRavum“, thiruvAimozhi 3.9 “sonnAl virOdham” and thiruvAimozhi 4.1 “oru nAyagamAy” [highlighting three different aspects of defects in worldly pleasures] failed to reform the samsAris (worldly people), but helped increase his own craving to enjoy emperumAn, which was subdued due to interest in other aspects; due to this great craving, he acquires desire to immediately enjoy emperumAn’s forms from various places and times; but as he could not enjoy them immediately, he becomes anguished and speaks in a feminine mood in thiruvAimozhi 4.2 “bAlanAy Ezhulagu“; mAmunigaL mercifully explains this starting with “bAlaraip pOl“. 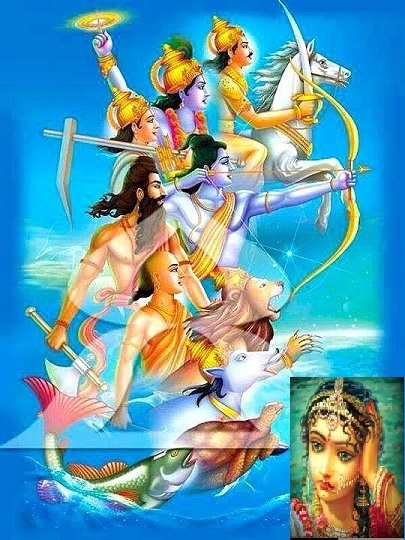 AzhwAr, the leader, who incarnated in AzhwArthirunagari, being cranky like a child, due to love towards emperumAn who is difficult to attain due to being distant by time and place, had an increased desire to acquire the joy of doing kainkarayam and became anguished. bAlaraip pOl sIzhgi – Just as young children who cannot distinguish between what can be attained and not, will desire through crying for moon etc which are distant by space and fruits etc which are beyond their expiry date saying “I need them immediately”, as said in “bAlasya rudhi thambalam“, AzhwAr too desires through crying for emperumAn’s para (his form in parampadham) etc states which are distant by place and time as said in thiruvAimozhi 7.2.7 “azhuvan thozhuvan” (cry, pray). Those who are affectionate consider future times to be in present as said in SrI rAmAyaNam ayOdhyA kANdam 24.37 “apIdhAnImsa kAlassyAth vanAth prathyak Agatham puna:” (kausalya to SrI rAma – How good it will be, if today itself is the day of your returning from the forest); similarly, AzhwAr is desiring to experience past times now. paran aLavil vEtkaiyAl – due to parabhakthi towards supreme lord. paran – mAmunigaL is thinking about AzhwAr’s words in “pAdhangaL mElaNi paim pon thuzhAy enRE OdhumAl eydhinaL” (reciting only the greenish attractive “thiruththuzhAy” which was decorated by sages such as sanaka et al at the divine feet of such varAha bhagavAn and she acquired bewilderment) [6th pAsuram]. Distant by place are para (paramapadham) and vyUha (kshIrAbdhi) and distant by time are vibhava (incarnations). While AzhwAr started with attachment towards para form as said in “Alilai anna vasam seyyum aNNalAr thAL iNai mElaNi thaNNanthuzhAy enRE mAlumAl” (sarvESvaran, having a very infant-like form, is resting on a tender banyan leaf after consuming all the worlds; his two divine feet are decorated with cool fresh thuLasi; my daughter desires to get that thuLasi only, remains bewildered) [1st pAsuram] but mercifully explained about the increasing attachment towards vibhava forms as said in “kaNNan kazhal thuzhAy pon sey pUN men mulaikkenRu meliyumE” (She desires thuLasi from the divine feet of krishNa, to decorate her withered bosom which has pale complexion; since her desire is not fulfilled, she has become weak.) [10th pAsuram]. That is, AzhwAr consistently manifested his attachment to the divine feet of vibhava forms as in “kuravai piNaindhavar nalladi” (the divine feet of the one who engaged in rAsa krIda) [2nd pAsuram], “dhEvargaL mAmunivar iRainja ninRa sEvadi” (The reddish feet which were prayed by celestial beings and sages) [3rd pAsuram], “kudak kUththanAr thALiNai” (the divine feet of the one who performs kudak kUththu (dance with pots)) [5th pAsuram], “agalidam kINdavar pAdhangaL” (the divine feet of the one who dug out the earth) [6th pAsuram], “thirumAdhinaith thadam koL thAr mArbinil vaiththavar thAL” (the divine foot of the one who placed SrI mahAlakshmi in his broad chest) [7th pAsuram], “ilangai nagar amberi uyththavar thAL iNai” (the divine feet of the one who burnt down lankA with his arrows) (8th pAsuram) and “kaNNan kazhal” (divine foot of krishNa) [10th pAsuram]. bhagavAn’s forms of nyagrOdhaSayI (resting on pipal leaf) and pIyushahAri (churning of milk ocean) are generally read along with his incarnations. Here too, AzhwAr has said “thirumAdhinaith thadam koL thAr mArbinil vaiththavar thAL” (the divine foot of the one who placed SrI mahAlakshmi in his broad chest) [7th pAsuram], how emperumAn accepted the divine nectar SrI mahAlakshmi while the dhEvas were consuming the ordinary nectar. sAla aridhAna bOgaththil AsaiyuRRu naindhAn – In this manner without realising that “the forms which are distant by place and time, are only accessible to those who lived there and then”, as a result of the overwhelming desire, AzhwAr became immersed in that emotion, and having not attained the result, became anguished. kurugUril vandhu udhiththa kO – he was the leader who was born in AzhwArthirunagari. Just as birth in SrI ayOdhyA will cause bhakthi towards SrI rAma, birth in AzhwArthiunagari will cause great desire towards emperumAn. kO – King. He is the king for all SrIvaishNavas. To ensure that this realm is not left without a king, AzhwAr descended from paramapadham and appeared here. This entry was posted in Other, thiruvAimozhi nURRandhAdhi on January 22, 2019 by Sarathy Thothathri.